Which Is Worse? Politicians Who Don't Pay Taxes? Or Ones That Raise Your Taxes? There are plenty of questions facing voters this fall, but one of the most interesting is the question above: "Which is worse?" And it is regards to candidate for Illinois Treasurer Mike Frerichs' approach to taxes. He has taken a strong position in regards to property taxes: that's one where he believes he doesn't have to pay them. 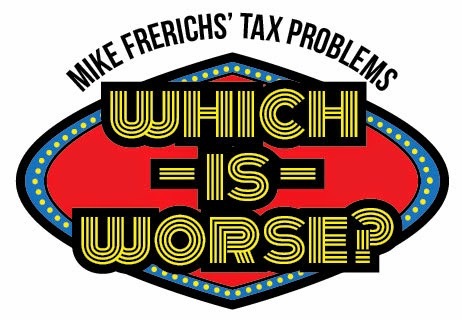 And...Mike Frerichs has taken a strong position in regards to taxes for Illinois residents: that's one where he wants to raise taxes on everything from yoga to haircuts. Unreal. So...go weigh in and have your say: Which is Worse?!? Click here to visit the Which is Worse game center: http://www.jointomcross.com/whichisworse.